Stylish Abodes specialises in building alterations and additions. 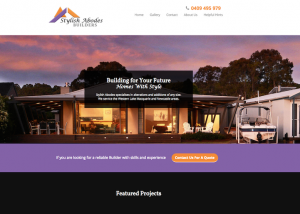 The owners of Stylish Abodes wanted a website to showcase their building projects and provide information to prospective clients. We developed a custom website with a gallery for easy uploading and management of images.